The team of the Québec Religious Heritage Council offers consulting services for projects to restore historic religious buildings, movable property, and organs that are eligible for funding. In addition, our team has taken part in organizing several joint local, regional, and provincial activities, and has an ongoing program to monitor changes in place of worship use. Jocelyn Groulx has been director of the Québec Religious Heritage Council since 2000. He earned a bachelor's degree in architecture at Université Laval, a master's in management, with an option in built environment conservation at the Université de Montréal and an MBA in real estate at UQAM. 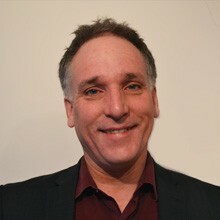 From 1994 to 2000, he was project manager for the Centre of intervention for the revitalization of neighbourhoods (now Convercité) where he helped create several urban revitalization projects. He has worked for over twenty years in the field of heritage conservation. After graduating from CEGEP of Maisonneuve in 1995, Hélène started working for the Québec Religious Heritage Council in November 1996. She had the privilege of witnessing its rapid early development, whose mission is to support and promote the conservation and enhancement of Quebec’s religious heritage. Now, after 18 years of working for the Québec Religious Heritage Council, Hélène holds the position of Assistant Director. She handles customer service and administration of grants to numerous recipients. In recent years, the Religious Heritage Fund has also been part of her administrative responsibilities. Johanne Picard manages the content on the various platforms of the Québec Religious Heritage Council. She supports the regional round tables and both Works of art and Pipe organs committees in managing the requests for financial assistance for restoration projects. 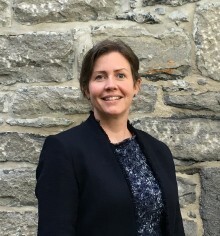 She participates in the Religious Archives Committee's activities, and also oversees special projects, such as the organization of seminars and the publication of documents on Quebec's religious heritage. 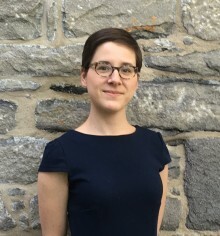 Graduated from Université de Montréal in Art History (bachelor's and master's degrees), Johanne Picard holds a diploma from Université Laval in local and regional cultural development and from UQAM’s short program in teaching higher education. In 2003-2004, she participated in the inventory and evaluation of Quebec's places of worship in the Montérégie Administrative Region. From 2005 to 2008, she worked as Cultural Development Officer at the MRC du Haut-Saint-Laurent and subsequently, she was in charge of cultural activities at Maison Saint-Gabriel, Museum and Historic Site. She joined the Québec Religious Heritage Council in May 2015. Andréanne Jalbert-Laramée follows the implementation and the reporting of the projects of the financial aids for the restoration of religious cultural heritage. She also supports the organization’s activities as well as special projects regarding religious heritage. After graduating from Concordia University with a bachelor degree in Art History, she pursued a Master in Aménagement, profil Conservation de l’environnement bâti at Université de Montréal. In 2011, she participated at the development of guideline for the conservation of the cultural landscape of the Lachine Canal NHSC at the Parks Canada Agency. As a heritage consultant, she conducted a heritage inventory of commemoratives plaques throughout the city of Laval. Between 2013 and 2017, she worked at Fondation Héritage Montréal, mainly as an Educational Activities Coordinator. Involved in the community, she is active in volunteer committees dedicated to the promotion of Montréal’s heritage. Isabelle Lortie ensures the information vigil on changing places of worship and updates the Inventaire des lieux de culte du Québec' Website. She collects current information on religious heritage, produces status reports and documents some exemplary projects of churches transformation. Finally, she participates in the organization's consultation and networking activities. 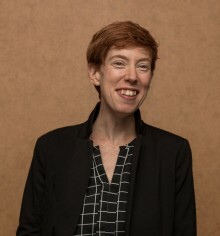 Isabelle Lortie holds a Master's degree in Planning, Conservation of built heritage option (Université de Montréal) and a post-graduate diploma in Modern Architecture and Heritage (UQAM). In the summer of 2016, she did an internship with the CPRQ to identify resources specific to the restoration of modern churches. She then participated in the inventory of the built heritage of the MRC Pierre-De Saurel in 2017, and collaborated on the drafting of the brochure "The modern architecture of the institutions of the CSDM", under the direction of Professor Claudine Déom.